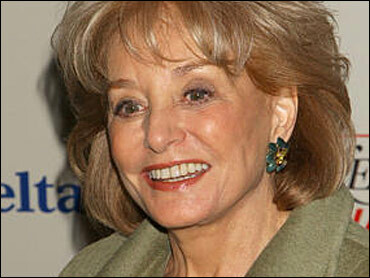 Barbara Walters says "all is well with the world" after yesterday's flare-up on "The View" between Rosie O'Donnell and Kelly Ripa. Walters says O'Donnell and Ripa talked after yesterday's show, in which Ripa called in to respond O'Donnell's criticism. O'Donnell had accused Ripa of making a homophobic comment while co-hosting "Live With Regis and Kelly" last Friday with Clay Aiken after Aiken put his hand over her mouth during an interview. Ripa called that action a no-no, and added she didn't "know where that hand's been, honey." Read what Rosie said to Kelly Ripa on "The View"
Aiken never answers questions about his sexuality, despite speculation. O'Donnell says she called Aiken after the show to make sure everything was OK.
Regis Philbin, meantime, made light of the controversy. On this morning's show, he told Ripa that his hands are "clean as a whistle."